It’s been a long wait for leading Malaysian international racing driver, Jazeman Jaafar, and his 2018 race season is finally here. This weekend the World Endurance Championship ‘Super Season’ kicks off at Spa-Francorchamps with a six hour race from 3rd to 5th May. Driving with Jackie Chan DC Racing, Jazeman will be behind the wheel of the LMP2 category #37 Oreca 075-Gibson. 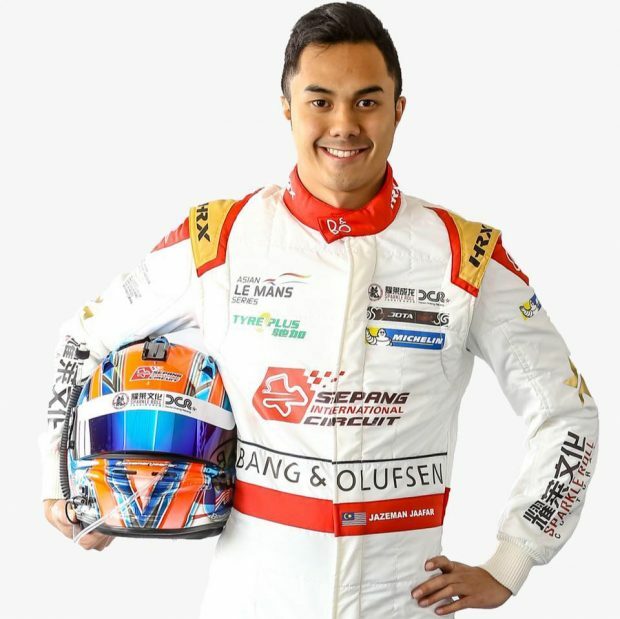 Jazeman and his team mates, Weiron Tan and Nabil Jeffri form a ground-breaking Malaysian dream team, as it will be the first time that an all-Malaysian team has contested the full championship, including the legendary Le Mans 24 Hours race. With the support of Sepang International Circuit, the trio of racers will be racing for national pride as well as trophies at each race event. The focus for this weekend will be conquering the challenge of the notoriously difficult Spa-Francorchamps circuit and going the full six hours flat-out. It will be a record-breaking 37 cars representing 25 teams with 104 drivers lining up for the start of the Belgian race. Jazeman and his teammates had a chance to test the car at the Official Prologue, an all-teams test event held at Paul Ricard earlier this month. Jazeman had previously experienced the car at the shakedown and raced in last year’s model in the Asian Le Mans Series, so he was able to quickly start developing the set up ready for Spa. Jazeman looks ahead to the weekend saying, “I can’t wait to get to Belgium and go racing. I love the Spa track, it’s fast, furious and very technically challenging. The weather is always a bit unpredictable too, so the spectators and TV viewers are guaranteed exciting racing. The Total Six Hours of Spa can be viewed on ??? in Malaysia, visit fiawec.com for race times.